Multi-channel marketing is a double-edged sword. As the number of touchpoints increases, so too does the volume and variety of consumer data available to brands. Which can be either a huge opportunity or a massive problem for marketers. An opportunity – to get to know what consumers really want, and create experiences that deliver. Or a problem – because unless you can tie all those customer identifiers back to real people, you don’t truly understand who you’re marketing to. That’s where identity resolution comes in. 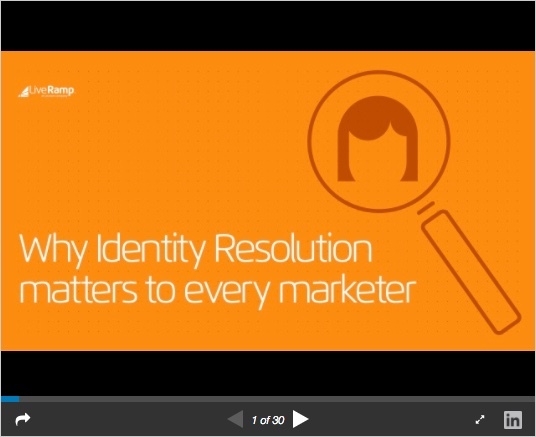 Check out this ebook to see why every marketer should care about Identity Resolution.